Do you love water? I do! I have a bit of a love hate relationship with water though. Water is my beverage of choice, after my morning coffee. But I can’t stand our tap water, and I hate wasting money on bottled water, not to mention all the waste with the empty plastic bottles. Last year my mom bought me a Brita Pitcher for my birthday – yes I LOVE practical gifts – and I’ve been in love ever since! I remember growing up with an ice cold “community” pitcher of water in the refrigerator all the time. I’m not quite sure why we rarely poured a glass, but there was nothing better than grabbing that green bottle and getting a good swig of cold water any time I wanted. I love how clean and crisp the Brita makes our tap water taste, and having fresh filter water at my fingertips now feels like a luxury I’m able to indulge in any time. There is a cool little indicator on the lid that lets you know when the magic is about to stop and you’ll need to replace the filter. Other than that, the only other tricky part is making sure everyone refills the pitcher! There’s nothing worse than anticipating a frosty glass full, only to find the pitcher nearly empty. It might sound simple, but my Brita Pitcher is definitely one kitchen item I could not do with out! Are you a water drinker? How about the Brita Water Bottles? I’d love to hear if anyone has used them, do you like them? Take a peek at what else I have in my pantry on pinterest. I love how excited you are about a water pitcher! I was just as excited about ketchup and mustard squeeze bottles, so I can make fun pancakes on lazy Sunday mornings! lol it’s the little things some times isn’t it! You know, I see them all the time but I’ve never spoken with anyone that’s used them. So happy to know that you are pleased! The water here is distasteful and I dislike buying the plastic bottles. Also, my allergist hates the plastic ~ says we absorb gases, etc., from it. One more reason NOT to use them. Why am still spending money on bottled water??? Totally need to pick up a Brita one of these days! I am absolutely LOVING quinoa (!!! 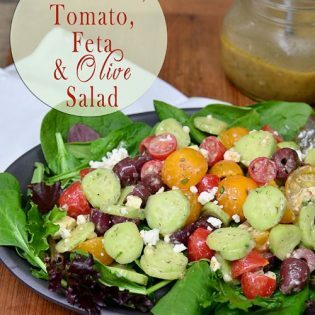 ), especially this awesome tabouli salad recipe! 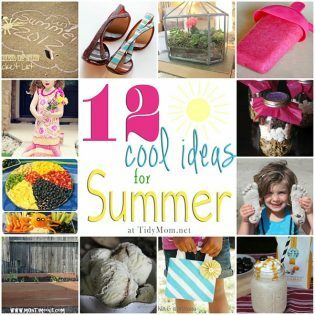 I really hope you give it a try.. And p.s.- A *huge* fan of practical gifts, too! Your post about your water filter makes me realize I need to drink more water! Maybe this would help me by reminding me every time I open the fridge 🙂 Thanks for hosting! Definitely a fantastic rec!! 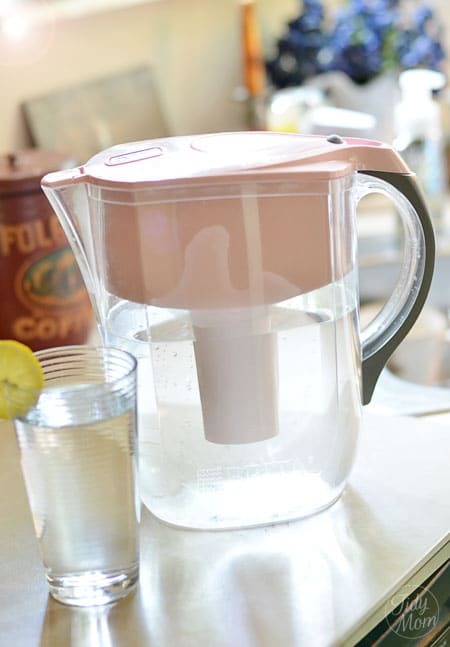 While pregnant, our Brita pitcher makes those 100 oz a day much easier to handle. I have one of these and love it too! Thanks for hosting Cheryl. I love my Brita water pitcher! Have a great weekend. Oh I love my brita, have had one for years and years! I got a new one and hate it compared to the old one I had, but I tossed the old one before I knew that, yours looks amazing and it is even pretty! Bought mine about 4 months ago and never want to go back!! I never knew water could taste so good!! Thanks for the post. 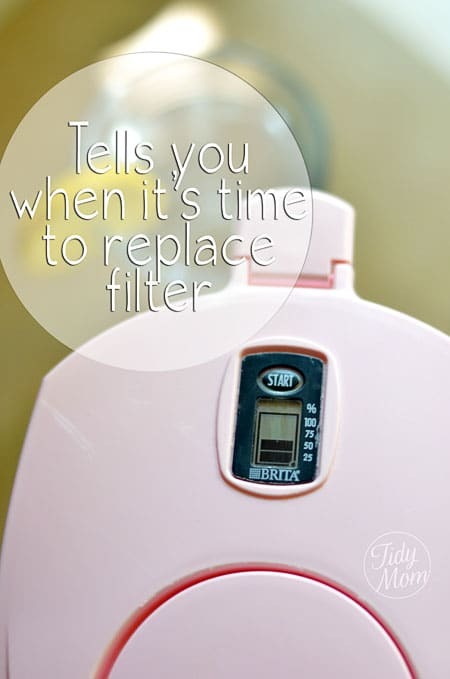 I have the Brita Filter water bottles with the idea of letting my daughter and kids use them. They are great for adults BUT you must squeeze hard to get the water out; something a toddler couldn’t do. So, I use them and love them. You have convinced me to get a pitcher for myself and daughter. I didn’t know about the “replace filter thingy”. It is HOT with smoke blowing in from AZ….definitely a drink lots of water day. thanks for the info on the bottles! Even better, we have an under the counter filter. It filters our cold water – tastes great – also have a filter on the frig. So when we get water/ice from it, it is double filtered. Only have to change filters about every six months. As I raise my glass of Brita purified water…Here’s to YOU! I love my Brita, I have been using it for years and recently the bottles came to Canada and I love them too!